I am back from Indiana and I had such a great time seeing my family! I hope all of you had a wonderful Thanksgiving! the lovely, Jaydee has a Tic-Tac-Toe board for us! 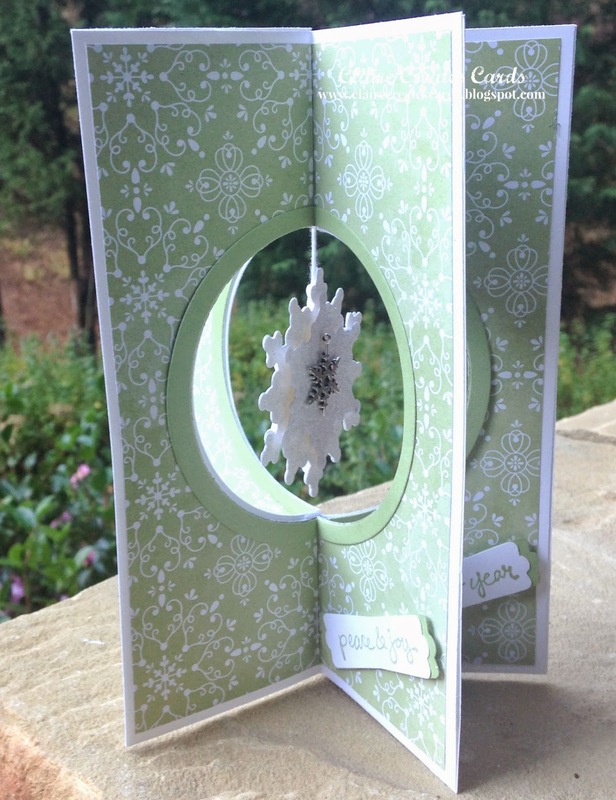 It is such a fun way to create a variety of cards! I can't wait to see all of your creations! Stop by all of the Design Team Members' blogs for lots of inspiration! 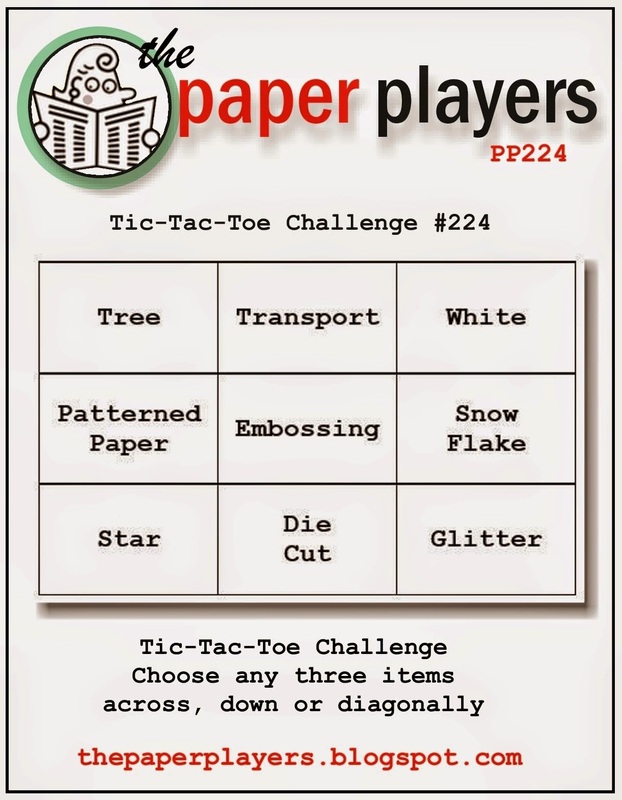 I played the Tree, Patterned Paper and Star column this week. I hope your enjoy my card! Thank you for visiting my blog. Please leave a comment. I love to hear from you! 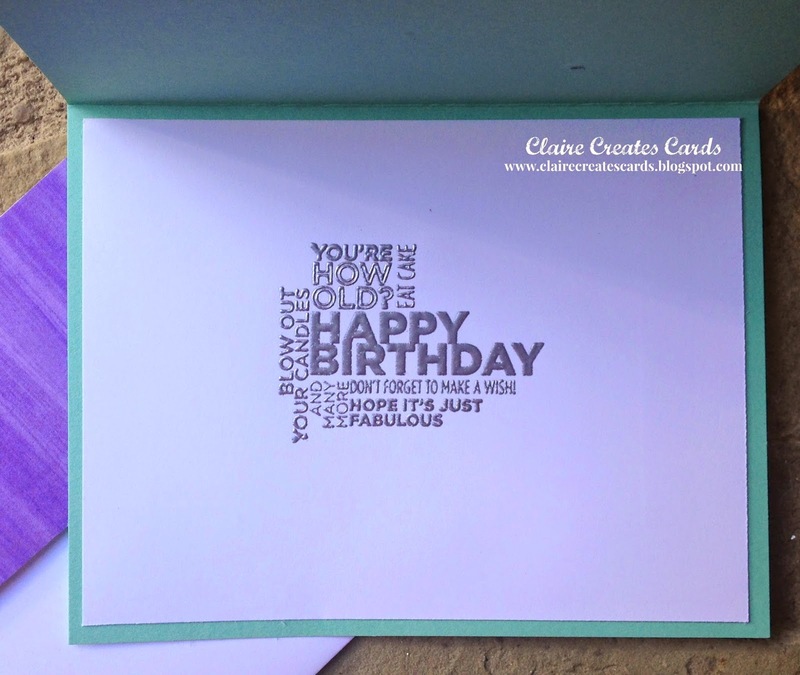 If you have any questions on my card or Stampin' Up!, contact me at: Claire. 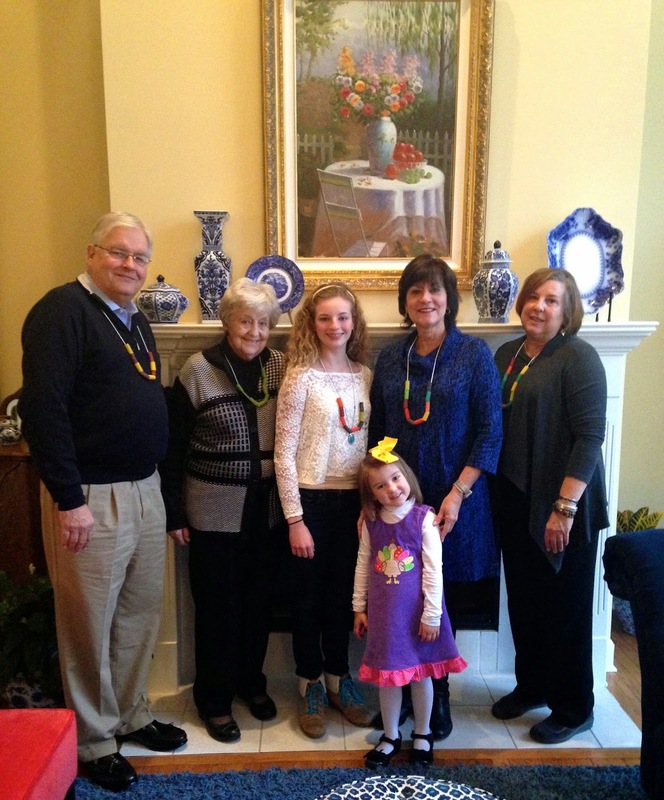 Bill, My Mom, My Niece, Olivia, Me, My Sister, Gae and the artist Miss Addison! 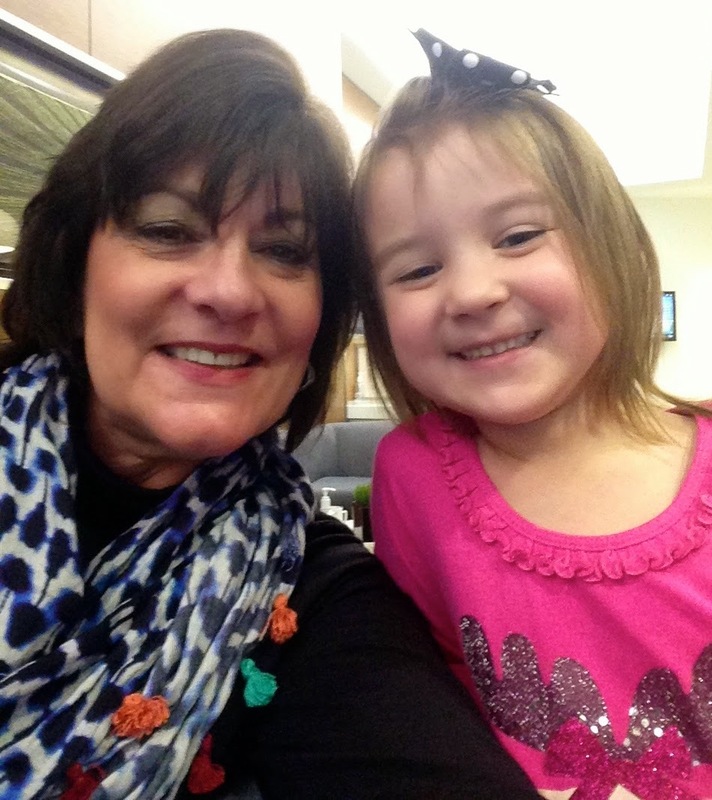 A very special trip with Miss Addison! Wishing all of you a VERY HAPPY Thanksgiving! I hope you will be spending special time with family and friends! We all have so much to be thankful for! 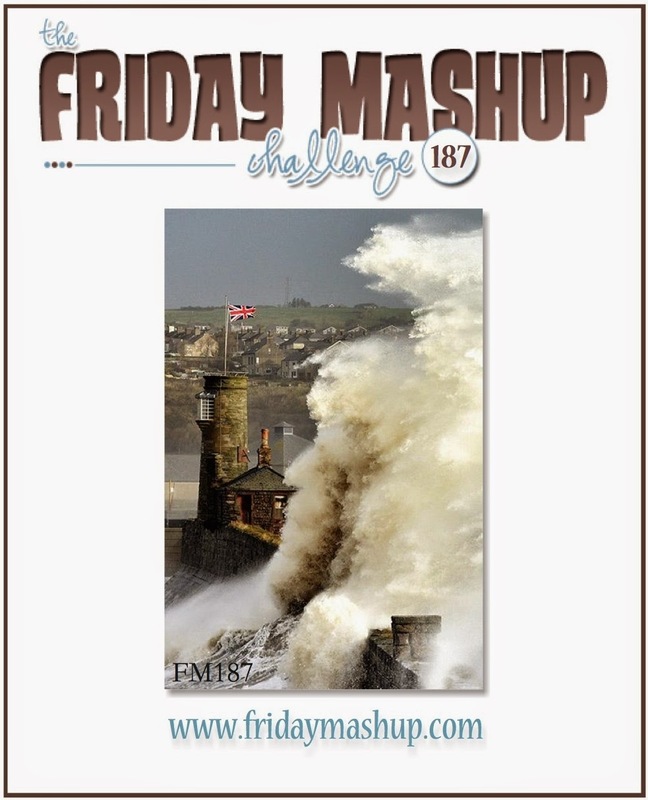 I am leaving for Indiana in the morning, but wanted to play along with the Friday Mashup. 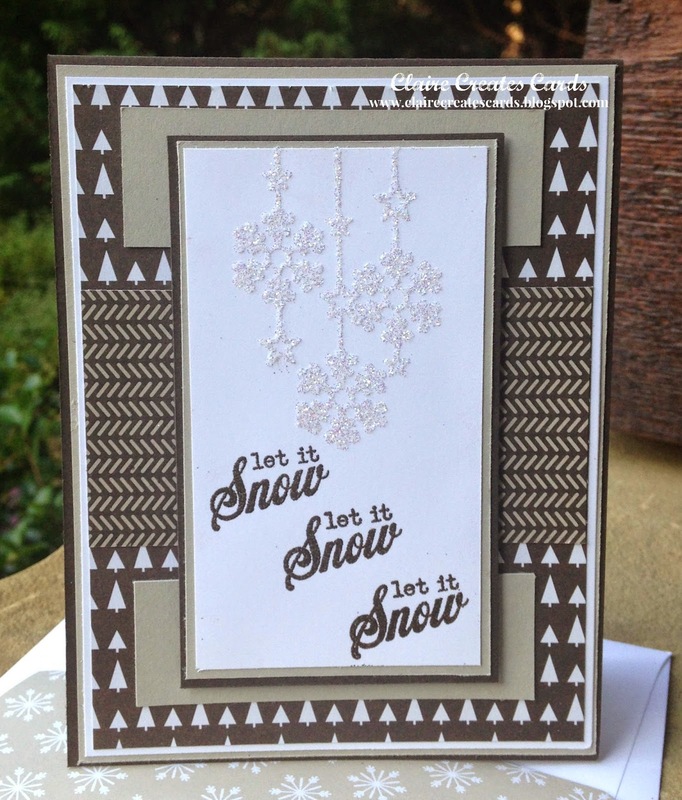 I just love the wonderful cards created by their talented Design Team Members. I hope you will visit all of their blogs for lots of inspiration! 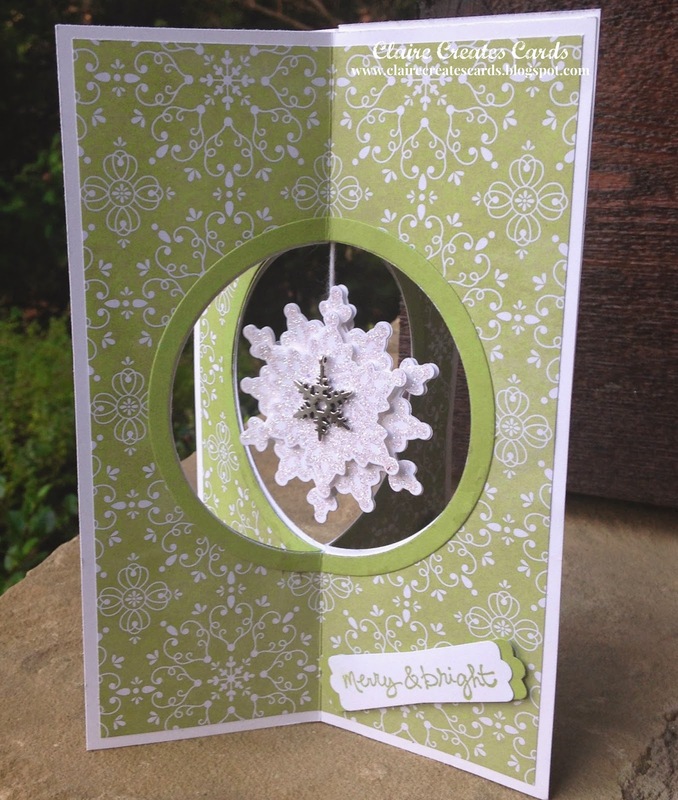 My card this week is a four sided card. 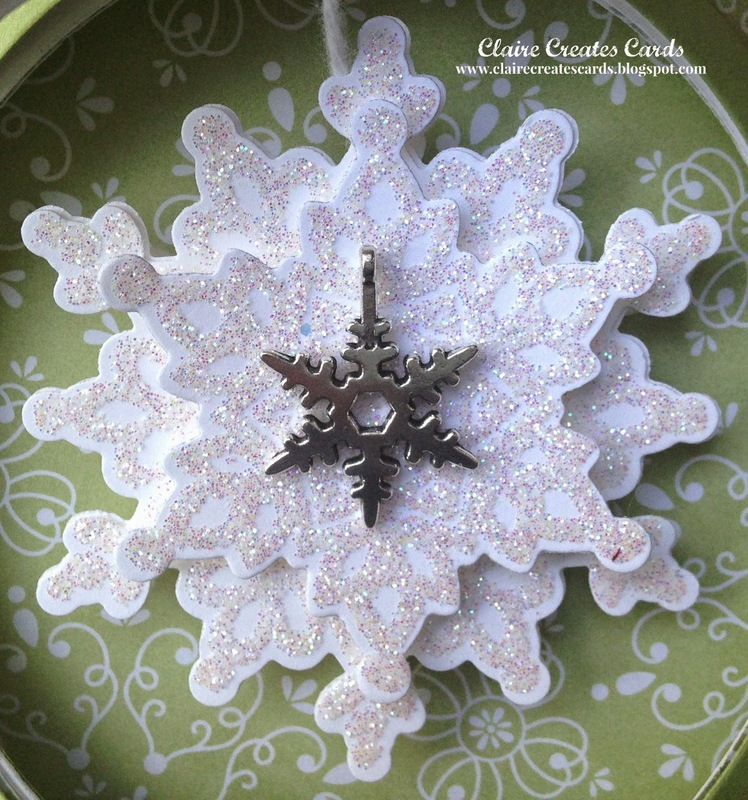 The snowflake is my weather and the metal embellishment in the center is my Mashup! I hope you enjoy my card. Each side has a different sentiment. You can turn it to enjoy a different side each day. Merry Christmas, Merry & Bright, Happy New Year and Peace & Joy. Thank you for stopping by my blog. If you have a minute, please leave a comment. I love to hear from you! May God shine on all of you and your families! HAPPY THANKSGIVING TO ALL! We are off to Atlanta to see the beautiful Santa Claus at Phipps Plaza with Addison, Victoria and Robert. Then, we will go to Lenox Square to ride the Pink Pig. It is an Atlanta tradition! I am so excited to share this special moment with my GRANDS!!!! 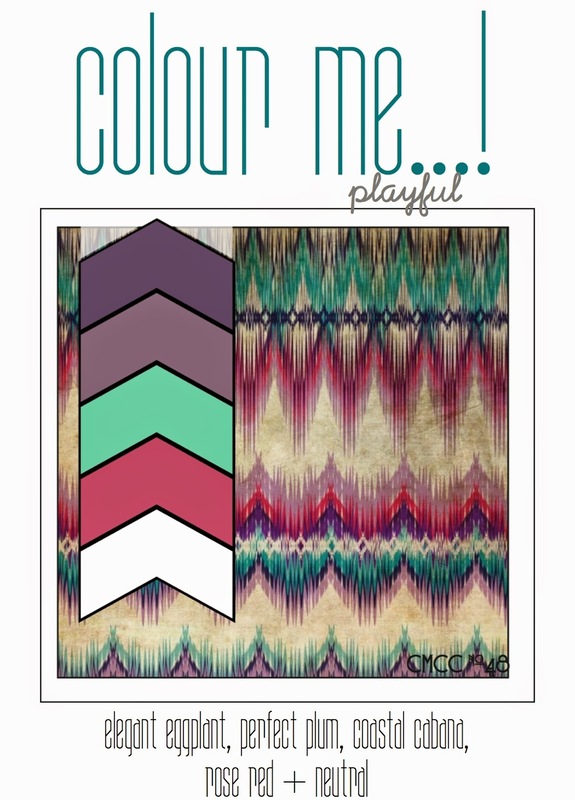 It's Wednesday and time for another challenge at Colour Me...! This week we are using Playful Colors! 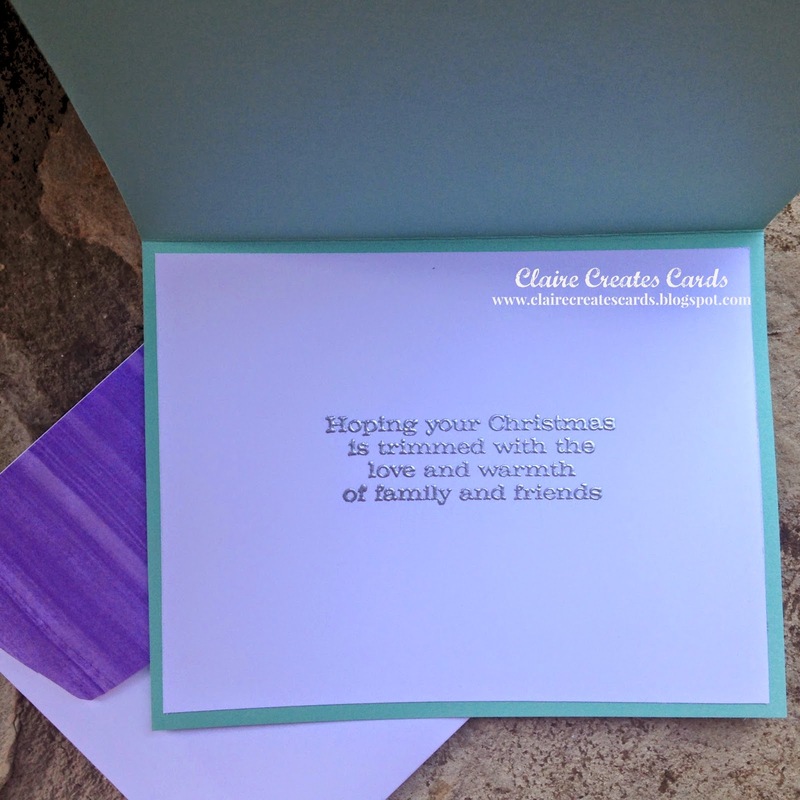 Elegant Eggplant, Perfect Plum, Rose Red, Coastal Cabana and a Neutral! Stop by the Design Teams' blogs for lots of inspiration! 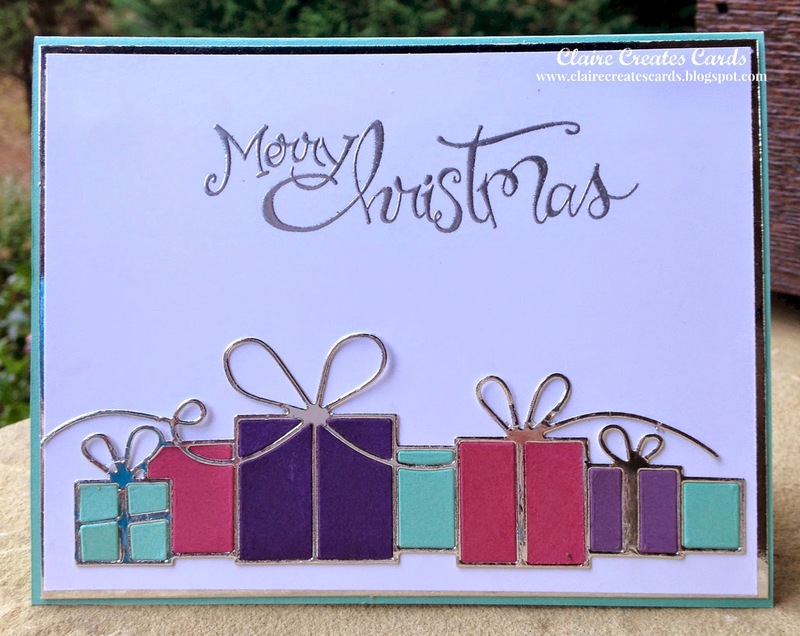 I had so much fun using this new die! 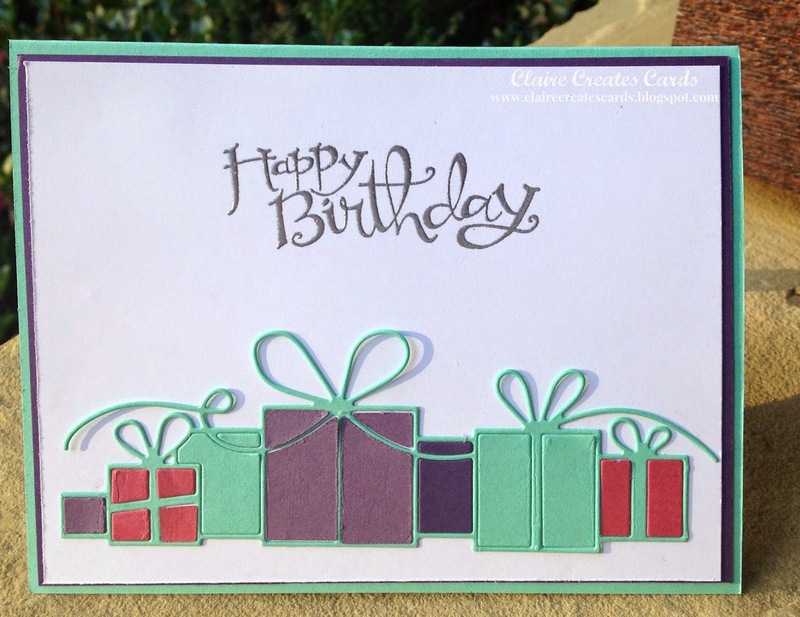 I needed a birthday card, too, so I used the colors to make both cards! I hope you enjoy my cards! Please leave a message and let me know your thoughts! I love to hear from you!